Johnson & Johnson Knew About Asbestos Danger In Baby Powder | Lattof & Lattof, P.C. Going back to the 1970’s, the executives, research doctors and attorneys of Johnson & Johnson knew that dangerous levels of asbestos were at times present in Johnson’s Baby Powder and intentionally failed to warn regulators or the general public of the danger. This fact was recently revealed by internal documents and confidential reports which Johnson & Johnson was forced to produce in connection with the 11,700 lawsuits currently pending by persons claiming to have developed cancer as a result of exposure to Johnson & Johnson powder. That revelation caused Johnson & Johnson stock to plunge some 11% once it was made public. For the past several years, Johnson & Johnson has been embroiled in litigation across the country filed by thousands of women who claim to have contracted ovarian and other cancers due to the hygienic use of Johnson & Johnson talc-based powders, including Johnson’s Baby Powder. To date there have been several trials, with some being won by Johnson & Johnson, but others, including a $4.6 billion verdict awarded to 22 women have gone in favor of the victims. There have also been at least 2 verdicts involving victims of asbestos-related mesothelioma cancer which came in part from talcum powder products – one against Johnson & Johnson for $18 million and one against Colgate for $13 million. Johnson & Johnson has vehemently fought these cases on all fronts, primarily in order to protect the $420 million per year in sales that it receives from its talc products and to protect its image as a “caring company” of which Johnson’s Baby Powder is a major component according to company memos. Documents recently unsealed in these court proceedings show that in 1974 the director of research and development at Johnson’s talc mine in Vermont recommended that steps be taken to reduce the asbestos hazard in the talc powders, stating that such steps are “strongly urged to provide protection against what are currently considered to be materials (asbestos) presenting a severe health hazard and are potentially present in all talc ores in use at this time”. Other company documents and testimony from Johnson & Johnson officials established that numerous tests between 1971 and the early 2000’s showed that asbestos was at times present in the company’s talc products. Despite the fact that the World Health Organization and other medical groups have stated that exposure to the amounts of asbestos found in the powder was a health risk and despite the fact that the company executives, scientists, doctors and lawyers worried about the problem and how to address it, NOTHING was ever done and NO WARNINGS were ever given to regulators or the public about the dangers. Incredibly, when confronted by a more recent report from the Associated Press about asbestos in its talc products, Johnson & Johnson (before these smoking gun documents were revealed) had the audacity to state that “thousands of independent tests by regulators and the world’s leading labs prove our baby powder has never contained asbestos”. In another recent trial in California, a jury awarded a cancer victim $417 million against Johnson & Johnson after it was shown that the company was making payments to “impartial Science Council members” who then declared publicly that J&J talcum powder posed no health risk. If you or a loved one have been exposed to talcum powder products and developed cancers, including ovarian cancers or asbestos-related mesothelioma, you or they may be entitled to compensation for these devastating conditions. 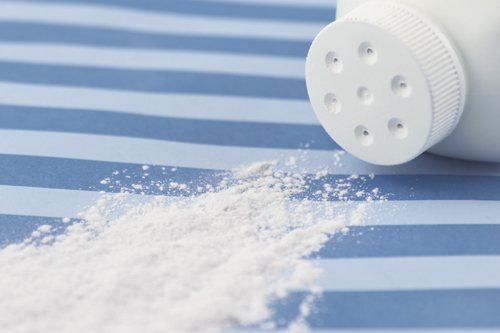 For over 65 years, the attorneys at Lattof & Lattof, PC have been helping victims and families protect their rights and obtain fair compensation for suffering and injuries including those from defective products such as talcum powder and other talc products. We will work hard to obtain justice for you against those responsible. Contact us for a FREE CONSULTATION and we’ll be more than happy to discuss your case and advise you of your rights.